Looking for homemade gifts for your boyfriend? Here are some DIY gift ideas that will create something special for him without raiding your wallet. 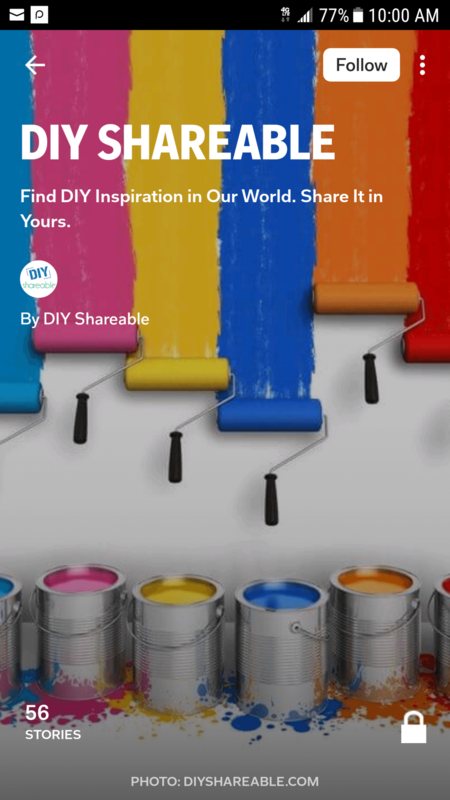 Need a creative, DIY gift idea for the man in your life? Tired of boring ideas that are just like everyone else’s? If you are ready to “wow” him with something very creative and personal but aren’t sure where to start, you’re in the right place. We’ve come up with a list of some of the most creative – and affordable – DIY gifts for your boyfriend out there. Whether he’s into books, wood working, video games, or movies, start here with our favorite DIY boyfriend gifts that are easy to do, and will be sure to bring a smile to his face. He’ll love that you took the time to think of something special just for him, and he’ll surely be impressed with your efforts. Everyone loves a compliment, and when you give your boyfriend this super cute “book” that includes more than 50 reasons you love him, he’ll be so flattered. Start with a deck of cards – you can simply write your notes on small post its and then glue them to each card, or you can transform each card (very lightly spray paint or cover with craft paper). Cover two pieces of paper just barely larger than your cards (for the book “cover”), decorate one for the front of your book and laminate them both so that they’re sturdy. Once you’ve got your cards completed, punch holes and attach them all with binder rings. This one will take some planning ahead, so make sure you have enough time. AND, make sure your man is not too sensitive to certain smells – you wouldn’t want him to not be able to use this! The process itself is quite easy. Once you get all your ingredients to make this, stash it in your pantry or in the back of a closet to steep. It takes about four weeks, so make sure you start early enough. This aftershave will give him a spicy clean smell and feel. Perfect! Do you love to smooch your boyfriend, and vice versa? Bring a smile to his face every time he thinks about kissing you but can’t with a jar full of Hershey kisses – you can add a simple post it note, or make a fancy label and attach it to the outside. There are multiple flavors to choose from (almond, dark chocolate, etc. ), so pick his favorite or mix them up. Use a mason jar if it will sit on his desk, or a larger jar if he’s got the space. Every time you see the jar running low, buy him a new bag to replenish his stash! Does your man love Star Wars? Try these custom pillow cases – they are really simple, and he’ll love plopping his head down on these. Star Wars not his thing? No problem! This idea uses a pumpkin carving stencil, and they come in SO many choices these days. Find the one he’ll love, and follow the same steps. If your boyfriend is into whiskey AND bacon, try them together. The process is VERY simple, and side perk – the bacon itself doesn’t even go in the whiskey…so you can let him eat it! The bacon fat is infused (then strained out) of the whiskey, leaving it with a unique smoky flavor that he’ll love. Sometimes, keeping it simple is best. While going all out can be a lot of fun, sometimes keeping it really simple and laid back works too, especially if your boyfriend is wired that way. Take a large paper bag, fill it up with some of his favorites (think food, magazines, pens, etc.) and then tie a simple ribbon around the top. They said that a way to a man’s heart is through his stomach right? Well, that may or may not be true…but either way, if your man likes chocolate and beer, he’ll love these. Make sure to use his favorite beer (the darker, the better) for a rich decadent brownie. Not all men are into cake…if he has a sweet tooth but doesn’t really like cake, make him a candy and beer/soda cake. Use a cake plate for your base, then build with cans of soda or beer on the bottom, topped with his favorite candy bars. Wrap up each layer with some ribbon and glue a candle on the top. He’ll be thrilled to have a huge stash of his favorites at his disposal! Does your boyfriend have a sense of humor? If he does, and if he said he doesn’t want any presents for his birthday or holidays, give him just that – a jar of nothing. You can recreate this look easily at home for little to no cost. Just take a mason jar, make your label, and pretty it up with some ribbon. Perfect for the man who has everything, and wants nothing! Everyone loves a love note, right? Write a whole year’s worth for your boyfriend, put them in envelopes, seal and decorate. He’ll love getting to open gifts from you all year long! Make at least one for each month, and be creative about the contents – maybe the letter he opens in October talks about how much you love when he builds fires, or brings back a memory from a previous October together. Maybe the May letter has a picture of you two from last May hanging out at the lake. If his birthday is in January, maybe you include a gift card to his favorite restaurant. If you’re into knitting, and your boyfriend has a beard (or wants a beard) this is a great option. You can choose has favorite colors to make it his own, and never worry that his face will get cold in the winter again. And he’ll love all the compliments he receives! Sharpie mugs are all the rage these days, and they’ve come a long way. There are certain markers that make the finish more durable, so the mugs can be washed and reused without losing your design. If your man isn’t really into coffee, fill it with candy! Choose a funny picture or saying based on anything he loves – like this one. When your boyfriend wants to sit down on the couch and watch some TV with a drink in his hand, make sure he has a coaster to set it down. Is he into comic books? Make these! Into something else? Your local craft store probably carries scrapbook paper with whatever he’s into on it. Grab a few sheets along with some coasters from the dollar store, and you can give him a very well thought out, personal gift that shows him how well you know him. Does your boyfriend love to spend the day out on the lake, fishing? Give him some snacks to munch on when he heads out using a real tackle box. Fill it with his favorite candies or snacks, and maybe slip a sweet note or two in there. BONUS – he can reuse the tackle box for real bait and supplies when he’s finished the candy. Shoes?! Shoes might not pop up at the top of your list of go-to gift ideas (especially if they’re expensive ones), but if he’s been eyeing a pair of shoes, pick them up and then wrap the box in a special way! If your boyfriend likes to play the lottery, let him hit the jackpot with these homemade scratch off cards. They are ridiculously simple to make, and he’ll have a blast scratching them off one by one. Write “prizes” that he’ll enjoy cashing in on a note card, color with white crayon, then paint with a mixture of acrylic paint and dish soap. Show him how “in tune” you are with his love of music with a handmade candy guitar! You can make a life-size guitar or a mini one and the candy possibilities are endless. AND, it’s quite easy to put together. With such a wow factor, he’ll almost (ALMOST) refrain from eating it. Whether he puts it in his office at work or on his bedroom wall, he’ll love a personalized way to display pictures of the two of you together. Buy a piece of craft wood in whatever shape you’d like and then paint it with chalkboard paint (or regular paint). Write something meaningful on the inside, then attach clothes pins and insert pictures of the two of you. Best part is, you can easily update it and switch out the pictures. Take flowers, and bacon, to the next level by combining them. While a bouquet of flowers is usually considered more of a girl thing, a bouquet minus the flowers but plus bacon could be right up your man’s alley! Show him he means the world to you. And nope, this one doesn’t have to cost a thing! You can print a passport online, complete with itinerary, passport stamps and plane tickets. With a little planning ahead, you can plan some dates for the coming weeks or months that take you around the world! Want to go to Mexico? Plan a date to a special Mexican restaurant. Always wondered what Italy is like? Take him to an authentic Italian kitchen. You can let him be a part of the planning on this one (with his knowledge, or without) or plan it completely on your own. If you decide to let him be a part of it, ask him to give you several date ideas – no pressure, no planning. Just have him tell you what sounds like a fun (and maybe different) date idea. Collect his ideas, combine them with some of your own, then write them on Popsicle sticks. This idea could easily be added to his morning routine, and even though you give it to him once, he gets a new gift every morning or every night for a week! Simply purchase a standard Monday – Sunday pill box, and write a love note on a slip of paper that you can roll or fold up and place inside. Top it off with a sweet treat and set it beside his sink or on his nightstand to find! 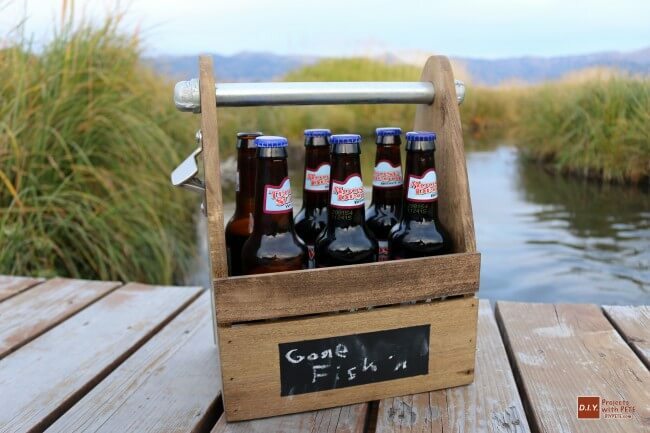 Impress him with your wood working skills by making him his very own beer caddy. Complete with an opener on the side, this is the perfect gift for the man who loves beer (or root beer). The materials needed for this are not expensive, and you’ll earn some major kudos for building it from scratch. Homemade gifts for boyfriends do not have to be overwhelming or impossible to figure out. There is something out there for everyone, and no matter what your budget is, you can put together the perfect gift to show him how much he means to you. Sometimes, the effort alone is enough to blow him away, especially if it is outside of Valentine’s Day or Christmas! We hope you’ve been inspired to think creatively about the man in your life. What’s your favorite idea from this list? Do you have any other ideas? Let us know!